IS My Hero Academia: Vigilantes, Vol. 1 WORTH YOUR TIME? 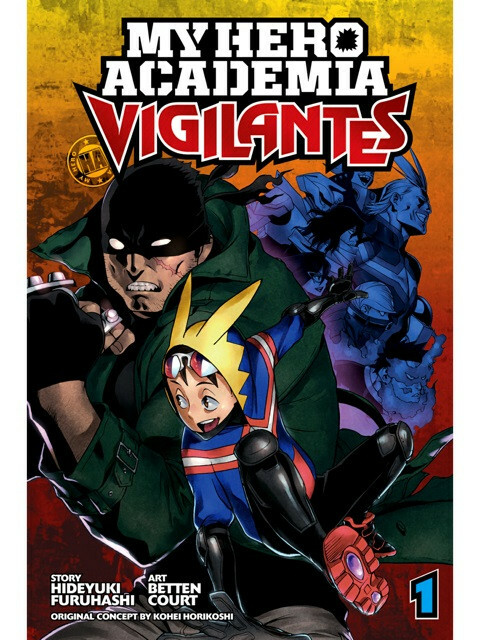 My Hero Academia’s first spin-off series is called My Hero Academia: Vigilantes. Thankfully Vigilantes starts off great. Like, surprisingly so. Vigilantes assumes you know of the My Hero Academia world but still gives a pretty good intro to new readers. Along the way we are treated to new and likable characters. Cameos from established heroes and an interesting storyline that is tied to a forgotten plot thread from the main series. I was worried that this would be a throwaway story that would either feel half-assed or something just off. Instead, we got a new likable cast of characters that feel right at home in the established world. The story follows another young man who wishes he could be a hero, unfortunately for him, he has a somewhat lame quirk. This is the first of many similar plot points to the original manga that is slightly tweaked enough to make things feel fresh and interesting while still familiar. I think the story so far is balancing a very hard act of making constant call backs and similarities to the original series, while still establishing it’s own story and standing on it’s own. It’s really wonderfully written. The art is a natural fit for the world and works great.